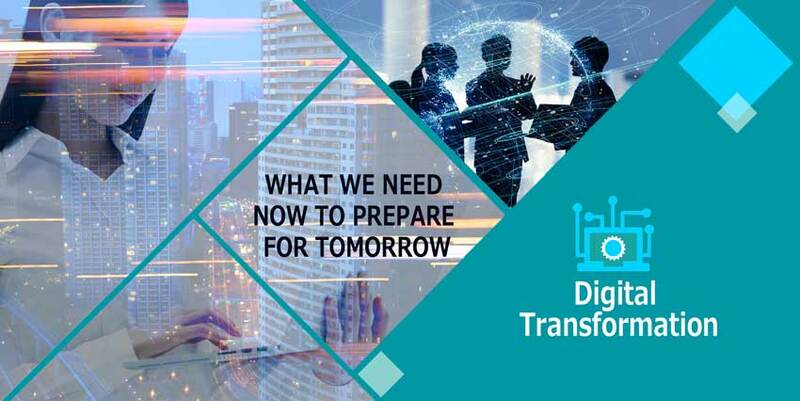 Digital Transformation and what we need to do now to adequately prepare for tomorrow is the latest topic of the interview by Document Strategy Podcast Host Kevin Craine’s with VPs Greg Council and Bill Johnson. Kevin sat down with Bill and Greg to get their industry perspectives. A recording of the interview is available below along with a synopsis of the interview. Together, these three lay the groundwork for digital transformation today and what is needed for businesses to prepare for the future. KEVIN: What exactly are you talking about when you talk about digital transformation? GREG: That’s a good question. Everybody tends to look at it from a slightly different angle. We have some clients that look at digital transformation as turning paper into digital images or as an application of robotic process automation–RPA. When we talk about digital transformation, we’re not just talking about technology because it’s just a means to an end, not the end itself. The reality is you need to select the key business processes that affect your business the most: the processes that impact your ability to adapt to the market or to stay competitive or to react to customer needs. It really starts with understanding what processes matter most and then mapping what the current process is against what you’ve visualized that needs to change in order to adapt to the market and be most competitive. KEVIN: So it takes higher-level, strategic acumen to approach digital transformation. This is great in concept, but hard to implement. How do we begin to visualize and implement that kind of vision? GREG: Once you have your overarching digital enterprise vision, you have to go more “atomic” in how you approach DX because there’s no way to convert an entire enterprise with all its processes overnight. Also, it is not a one and done; this is a continual process. When you’re remodeling a house, you do it in increments. You remodel one part and then you get to the next part. By the time you finish the whole house, it might be time to start over again. The idea is that you’re remodeling each room based on your overall plan so that everything ultimately fits your vision. KEVIN: Remodeling a house is a good analogy. You prioritize your processes, approach each individual process, understand where the gaps are, transform the process and workflow, and then replicate that on an ongoing basis. What are some of the key factors in doing that in a successful digital transformation if we look at it as a journey? GREG: One of the keys when we get to digital transformation implementation is technology. So understand where and what you need to improve, and then select the technologies that fit best. First, you’ll need multiple different types of technologies like RPA and advanced capture for your document automation. Second, approach it in a modular way where things are loosely coupled so you have a lot more flexibility and can replace one technology for another as needed. You’ll want flexibility to adapt given the three, five, seven year horizon where it’s difficult to foresee what you’ll need at that point in time. KEVIN: Bill, what’s your take on all this, given your background in both implementing digital transformation projects and as a capture vendor, what would you say are the most critical factors in these digital transformation initiatives? BILL: From a practical standpoint, companies are trying to be more efficient, trim costs, eliminate error and reduce risk. Unfortunately, we are still married to the paper or the document metaphor. Even though we have electronic documents, like PDFs, these are still presented to us in page formats. So the first thing we have to do is get everything moving through the same delivery mechanism, the same highway. Acquisition at the point of origination is critical to achieving digital transformation or digital capability. So you must be able to incorporate all the different data types using mechanisms like advanced capture (Parascript) to ingest these things, identify them and move them into the work stream. American business has a ways to go in terms of digital maturity, considering the technology we have available to us. Many businesses have grown through merger and acquisition over the years. They inherent other repositories, legacy systems and documents. The business needs a consistent taxonomy of delivery and rules to adapt to everything it’s dealing with across the enterprise. For example, it may have the same document type, but the document type is named differently such as w2, w-2 or w_2. So there’s the goal of making current day-forward processes digitally effective, but it is also necessary to deal with all of the legacy content. This is expensive and doesn’t create net new revenue for the business so you definitely want your legacy data to pass through the same processing engine that’s handling your day-forward work. KEVIN: Bill, you raised some interesting points , and one that resonates with me is the idea of this taxonomy. Most organizations have this hodgepodge or jumble of legacy content that has different levels of metadata attached to it. How does Parascript help us get our hands around all of that? Bill: It’s a unique and effective approach. Taking a conventional batch capture operation, and automating it with Parascript FormXtra.AI, we create savings that are exponential. Not only do you save money in capture by increasing throughput and reducing direct labor requirements through automation, FormXtra.AI also reduces the number of errors that are submitted into the workflow. What that means is we can actually increase workflow performance without touching it simply by reducing the number of errors they have to deal with. It is common for a company to spend as much as 50% of their direct labor and workflow managing 5% of their volumes that come through in error. We take that money that we save in the form of efficiency increases and apply that to the digital transformation project to actually finance it. BILL: Businesses want to get ahead of the competition and be more efficient. They do that by leveraging the value of increased accuracy and reduced errors since advanced capture introduces fewer errors to workflow. Now we basically have a funding mechanism. Let’s assume our client doesn’t have a budget. At Parascript, we look to determine whether we can outperform the cost of capital on a monthly basis. Our time to live is very fast so businesses are up and running within a few weeks. By taking advantage of those capture-related benefits within weeks, it contributes to this capital performance matrix, which allows us to finance other projects that take longer to implement. So being able to start up very quickly and implement a solution that produces exponential results across multiple components within the business process creates a creative financing mechanism for the larger DX initiative. Interviewer Kevin Craine is the author of the book Designing a Document Strategy and host of the Document Strategy Podcast. He is the managing director of Craine Communications Group. For more information visit CraineGroup.com. If you found this article interesting, you may find this eBook useful, Digital Transformation Demystified, What It Is & Practical Ways to Get There.